What’s a Workforce to Do? When you sit for extended periods of time, your body tends to lose circulation. Over time, this can result in damage to major organs, including your heart, pancreas, colon, and more. When you sit, your muscles lack the flowing blood and oxygen to major organs – and that includes your brain, too. When you remain sedentary, everything inside will slow down. This may lead to sore muscles and brain fog. Sore shoulders and back muscles are just the beginning. When you work in a sedentary position, the tiny discs between the spinal bones can become compacted and squished down. 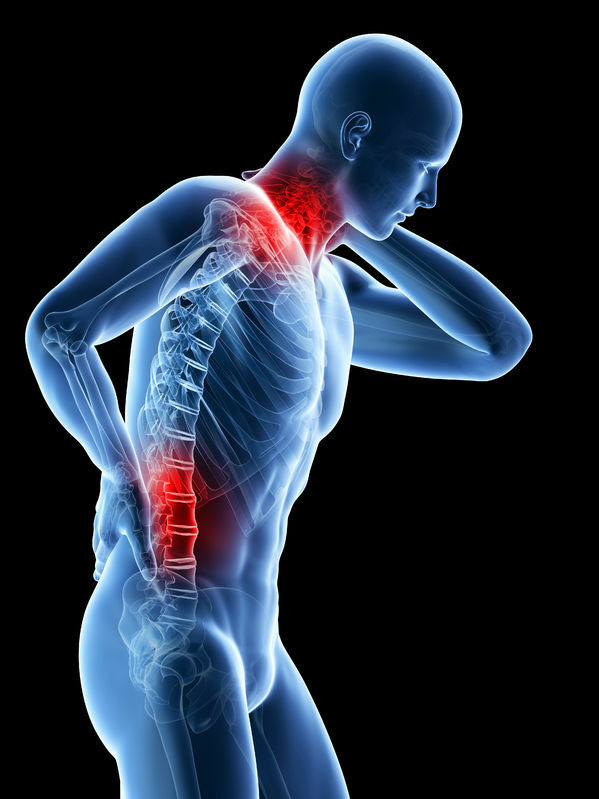 This may cause permanent disk damage for people at any vertebrae level in the neck or back. With so many health risks associated with a long, sedentary work week, you may be wondering, “What can I do?” Scientists have recommended adjusting your posture to increase blood flow and reduce your risk of potentially serious health problems. Here are three scientifically recommended solutions to improve posture during the workday. Your employer may have already provided a chair for you, but that doesn’t mean that it will support your good posture. If your chair allows you to lean back, or you find that you are leaning forward, you may need a new chair. An exercise ball chair or a backless stool are the best options for boosting better posture. Don’t allow a long to-do list to keep you from getting up and moving around. Remember, poor circulation is one of the leading causes of health problems associated with the sedentary lifestyle. So, every 2-3 hours, stand up and work at your desk. If you are stuck in a sedentary job that does not include a desk, stop for a standing or walking break every few hours to avoid loss of circulation and an increased risk of health problems. Cat Pose: Get on the ground and place your hands so you are on all fours. Then arch your back up towards the sky, and switch to lift your head and tailbone towards the ceiling. You will look like a cat as you perform this yoga stretch. Note: If you cannot perform this at your workplace you can still do it seated. Simply reach for your toes to arch the back upward and then release, and push out your belly. Health experts have known for years that sitting too much is bad, but until recently, scientists didn’t really know just how bad. With so many challenges in the fast-paced world we live in, don’t forget to take time out to care for yourself. Try these three simple exercises to improve your posture anytime you find yourself stuck in a chair, to reduce your health risks. 1. The Price of Inactivity. American Heart Association. 2. Rebecca Seguin, PhD, David M. Buchner, MD. 3. Physical activity and all-cause mortality across levels of overall and abdominal adiposity in European men and women: the European Prospective Investigation into Cancer and Nutrition. AJCN. January 14, 2015.